Vintage has been a big buzzword in fashion circles for some time, but now there’s a new trend on the block, and upcycling is taking over. This ever-growing trend is one that sees avid fashionistas repurpose and breathe new life into old garments that otherwise would have been tossed aside, or ended up in a landfill. In recent years there has been an increased focus on the amount of waste clothing creates, and how a huge mount of fashion is simply disposable, or throw away. With an increasing focus on sustainability and going green, the idea that so much clothing ends up going to waste is simply unacceptable to many. Believe it or not, clothes actually have an afterlife, and even if they are passed on to a charity shop, the chances are they may well still end up in a landfill. In 2012 it was estimated that around 14.3 million tons of textiles were sent to landfills, and that fabric and clothing made up around 5.7% of municipal waste in America alone. While a thrift store may see like the right place to send clothing that’s gently worn but still got some life left in it, it turns out that only 20 to 30% of clothing gets resold, and the rest goes into the landfill! Part of the problem with clothing is that a lot of it is poor quality and only lasts a season – for the duration that it is fashionable. This created a real throw away generation of fashionistas who simply bought what was cheap and the discarded it when it was no longer in vogue. Then along came the vintage trend. All of a sudden clothing from yesteryear was chic and thrift shops were doing a roaring trade. Just about anything and everything that was deemed vintage was trendy, even if it wasn’t strictly vintage at all. But essentially, this is where upcycling started, and where the fashionable set started to become a little more conscious of the environment and the problem with throw away fashion. 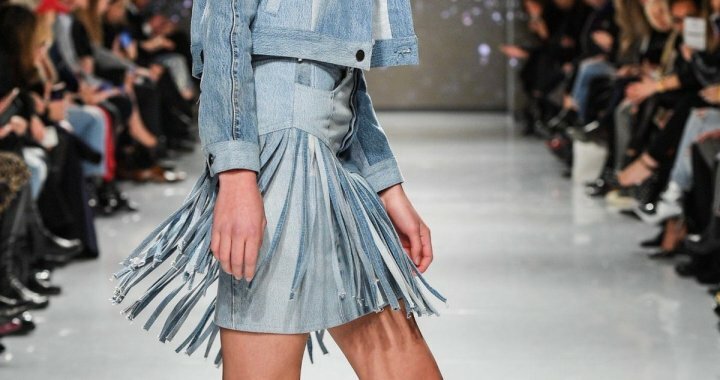 Upcycling is a trend that an increasing number of fashion savvy people are getting behind, and it is also one that is allowing people to get a little more creative with what they wear. Essentially, upcycling is taking an old item and making it even better than its original form. For example, it could be taking a torn dress and making it into a skirt, or repurposing a pair or old jeans into shorts or a bag. Even altering clothing to fit properly after it had been discarded, or updating it to make it more fashionable counts as upcycling, and in some cases gives the garment a whole new purpose. The benefits of upcycling, much like those offered by sports betting NZ are somewhat obvious really. They ensure that in a world that is already bursting at the seams with “stuff” that they stop yet more being added. They also give people the opportunity to be creative and to use their imagination to repurpose clothing that may have lost its original purpose.